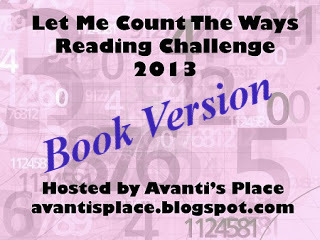 My goal is to read 65 books in 2013. Seems easy for an avid book reader and blogger, right? But this year I am concentrating on studying and editing more, leisure reading less. You can monitor my progress by the tracker in the lower right column of this blog. What a cool idea to count how many pages I will read in a year's time. My goal is to read 10,001+ pages in 2013. View all of Literary Marie's Memes and Reading Challenges here.